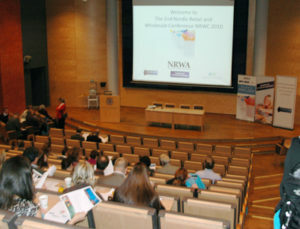 The second Nordic Retail and Wholesale Conference 2010 at Centre for Retailing, University of Gothenburg, was a very successful event with almost one hundred participating researchers who presented and discussed different topics on retail and wholesale research. In the five different tracks with a total of about 60 presentations a wide vareity of topics were talked about. In between the fellow researchers enjoyed talking and exchanging experiences and maybe initiating new projects. We welcome you back to NRWC 2012 which will be held at Lund University on the 7th to the 8th of November. Academic retail and wholesale research is border crossing.